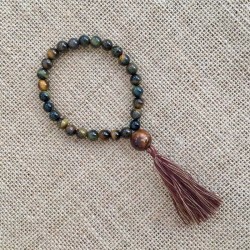 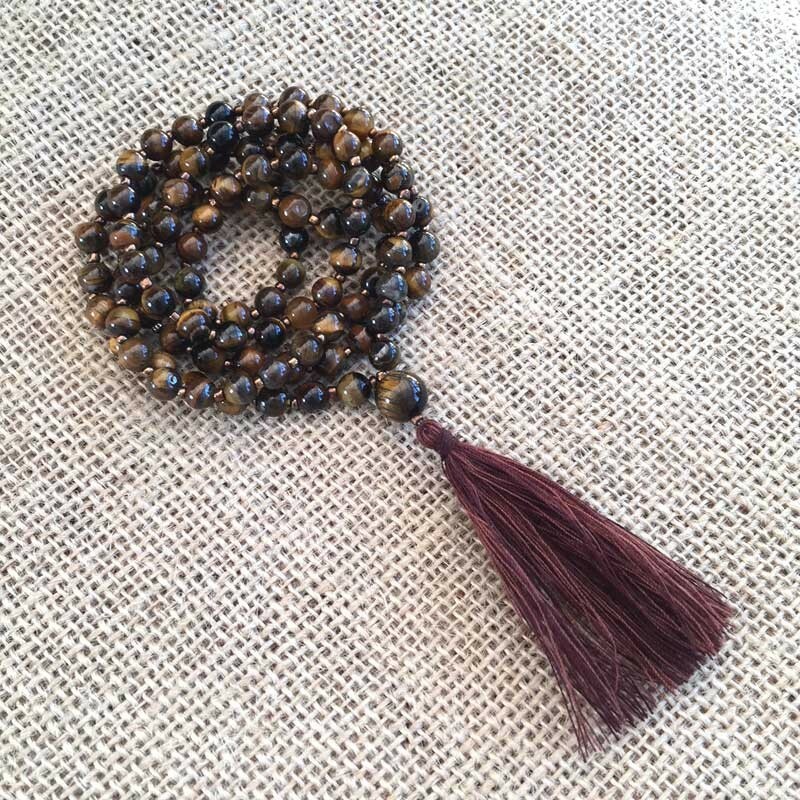 Gemstone Mala 108 Beads Necklace handmade of beautiful Tiger Eye stone, a Guru-bead and a tassel. 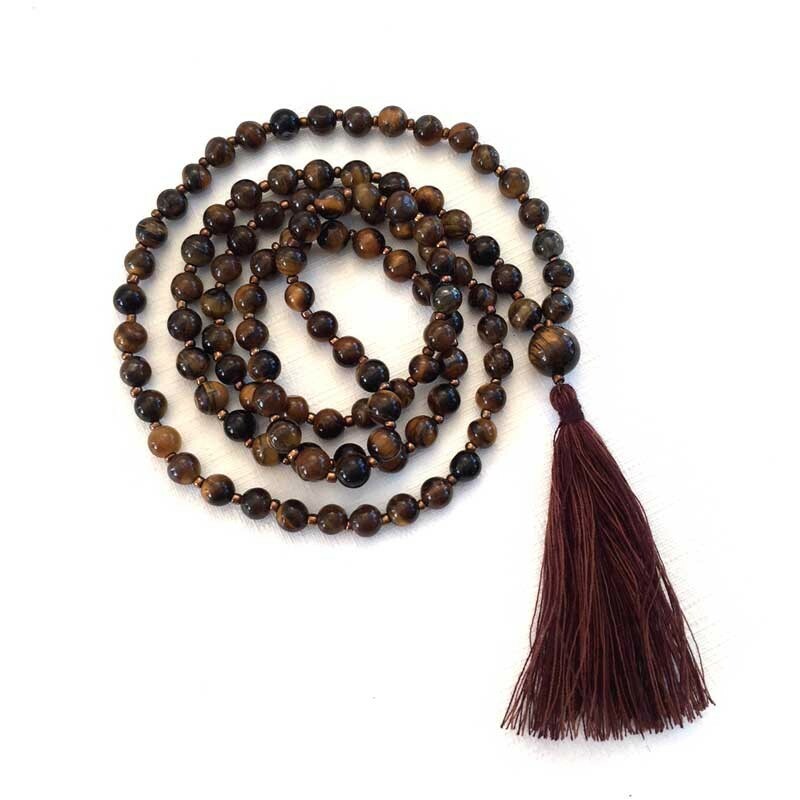 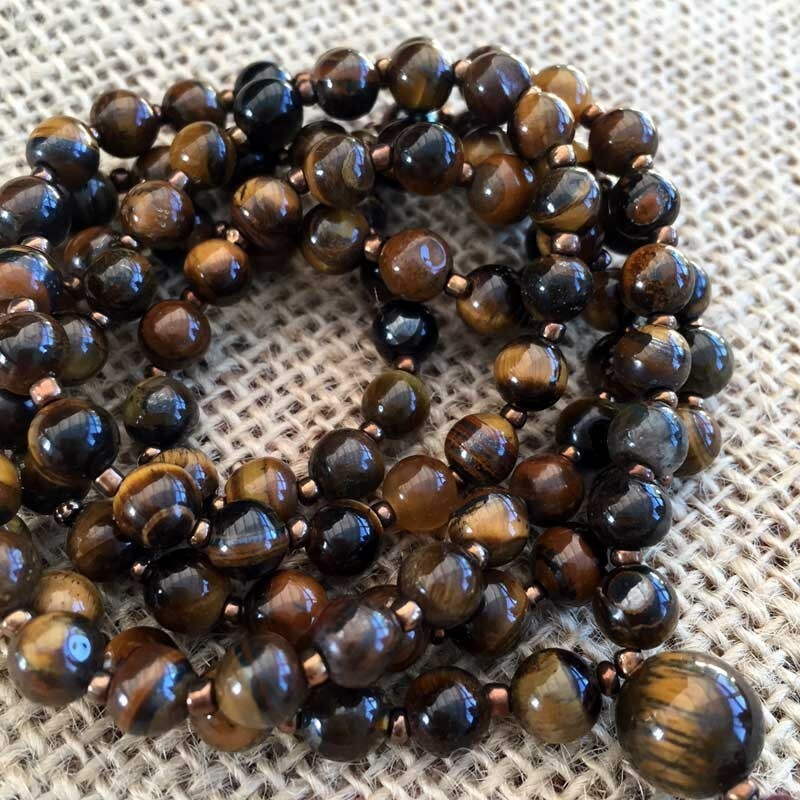 108 Gemstone Mala Beads Necklace handmade from beautiful Tiger Eye natural stone. 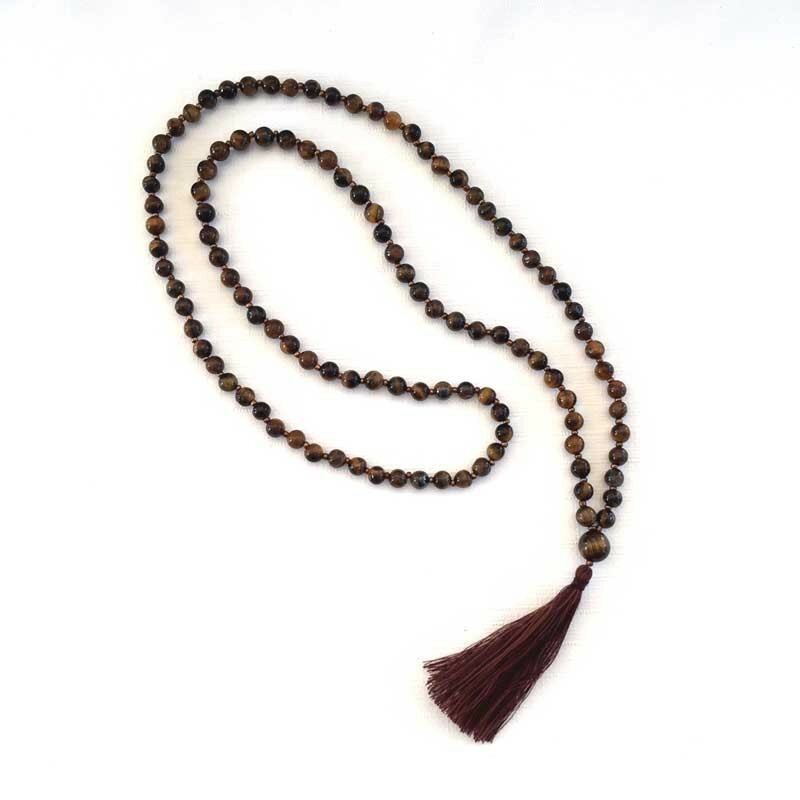 Mala Necklace contains 108 beads, which is a sacred number in Hinduism, Buddhism and several other Eastern religions. 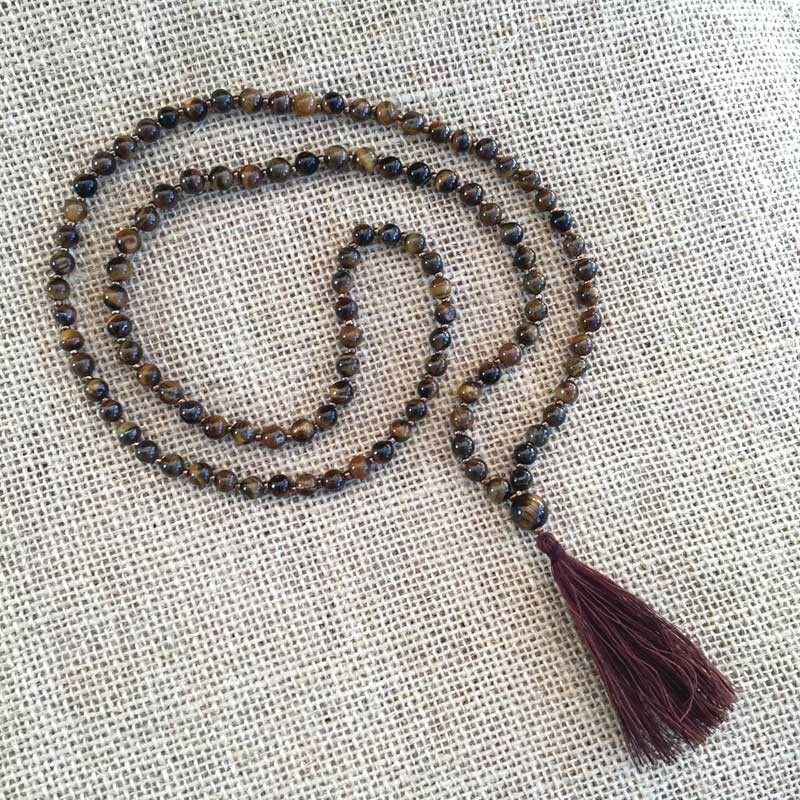 The number 108 is representing the universe as one thing (1), nothing (0) and everything (8, or infinity).